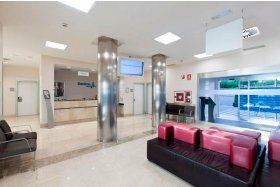 The A&E department at the Hospital La Moraleja is made up of a multidisciplinary team designed to give each patient the best quality of care possible. 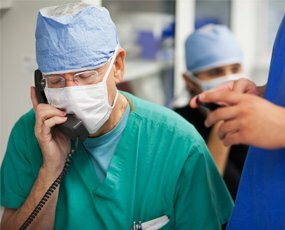 We handle medical/surgical emergencies in children and adults, trauma and gynaecology/obstetrics care. To achieve a position of leadership within the organisation, strengthening the value of the people and the team, based on commitment and work, in order to achieve maximum satisfaction for our patients. To enter into agreements and collaborate with other care units in order to improve the position and expansion of our own. To develop an attractive training plan which is in line with the needs and aims of the Service. To develop a plan for research and dissemination of knowledge in areas outside the unit. To focus on innovation and creativity. The time it takes to receive medical attention will depend on the pressure on the unit at that time and the seriousness of the medical condition. Patients will go through both to triage and to the examination area accompanied by just one person (two if the patient is a child). 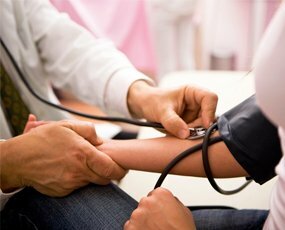 Complementary tests may be requested during assessment of patients, who must wait their turn in the waiting room or in the examination area, according to medical criteria. 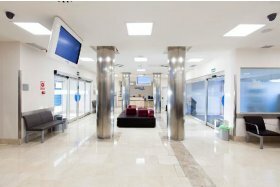 If the diagnostic tests are performed outside the examination area, the person accompanying the patient must wait in the waiting room until they are performed. Out of respect for the privacy of the other patients, the doors of the examination areas will remain closed and those accompanying patients will be authorised to enter. For this reason, they must wait inside the examination areas and not in the hallways. 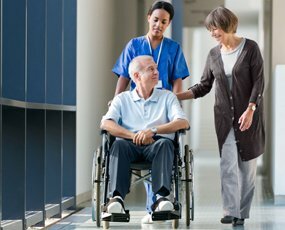 Upon discharge, all patients will be given a medical report on the care provided or of their request for voluntary discharge. First, reception and registration with A&E admissions. 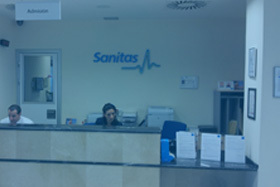 An initial consultation will be conducted by trained nursing staff, who will determine the severity level, currently by using the Spanish Triage System (SET, according to the Spanish acronym), and assign the patient to the most suitable specialist based on age, triage level and medical problem. Next, the patient will be assessed by medical personnel in the corresponding area who will establish the diagnostic/therapeutic approach. be admitted to a hospital ward. Lobby: reception area for patients, containing the reception desk. Spacious waiting rooms for families and patients who do not a trolley, with public telephones and toilets, with nappy-changing areas for babies. Classification and initial treatment area (Triage): examination room with a hospital bed and other examination elements. This area is the need for urgent care of all the patients who come to the department is filtered, except for those who due to the seriousness of their condition are immediately transferred to the “critical care cubicle”. Critical care cubicle: very accessible but isolated. It is ready to deal immediately with patients in cardiac arrest or with another life-threatening emergency. It is equipped with sufficient resuscitation equipment, including a defibrillator, ventilator and a crash cart. This cubicle is larger than other cubicles to allow easy access by staff. Seating Area: rooms with several mobile fold-out chairs to seat patients if they need intravenous or aerosol treatment temporarily. Therefore, they holders for saline drips and medication, and oxygen and vacuum outlets and their accessories at all chairs. Observation/Beds Area: with several cubicles for short stays, patients whose emergency medical condition is not completely clear are kept under observation to await their progress over a few hours or for rapid recovery treatment not requiring hospitalisation. 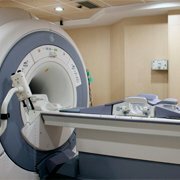 The basic equipment consists of oxygen and vacuum outlets, power outlets for radiological examinations and a trolley with fold-away headboard and side rails enabling the subsequent transfer of the patient. Nurse stations: these have a direct external telephone line, an emergency medication kit, linen storage and supplies. 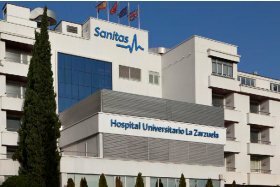 Sanitas Acude is a service offered by Sanitas Hospitales whose mission is to provide the best healthcare, whether medical care or nursing care, in the patient’s home or in the place the patient is at the time he or she s assistance. 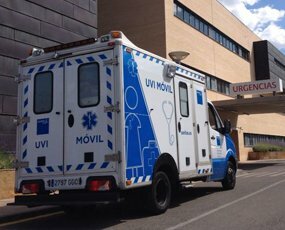 The service comprises two independent units: the Urgent Care unit and the Emergency unit. Either one or the other is activated by the SAC depending on the priority of the care (normal, urgent or emergency), although they can even be jointly activated if the case so s.
The medical team uses up-to-date evidence-based medical criteria in accordance with different national and international clinical guidelines. 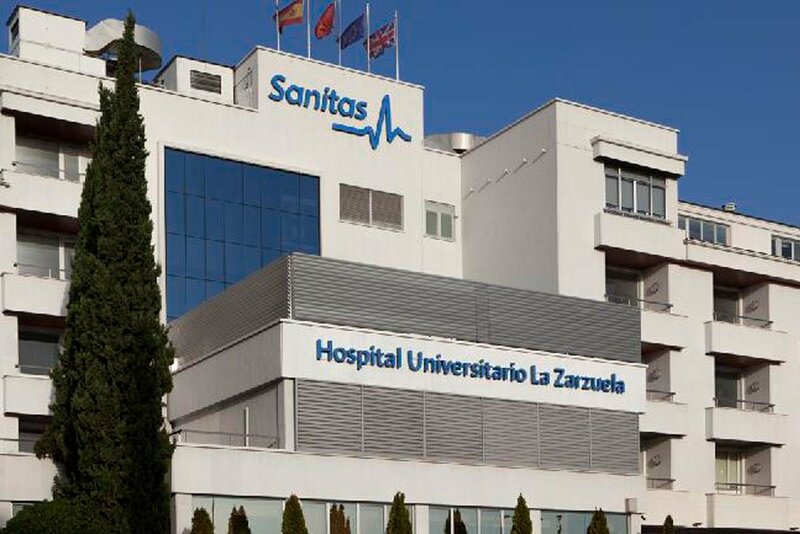 In addition, it actively participates in the various scientific and teaching activities which are undertaken at the hospital and within Sanitas. 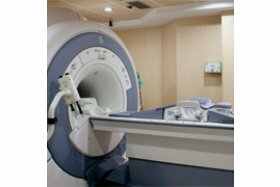 The A&E department has developed action protocols for different conditions (neurological, cardiovascular, pulmonological, digestive, urogenital, trauma and orthopaedic, endocrine/metabolic conditions, etc.) 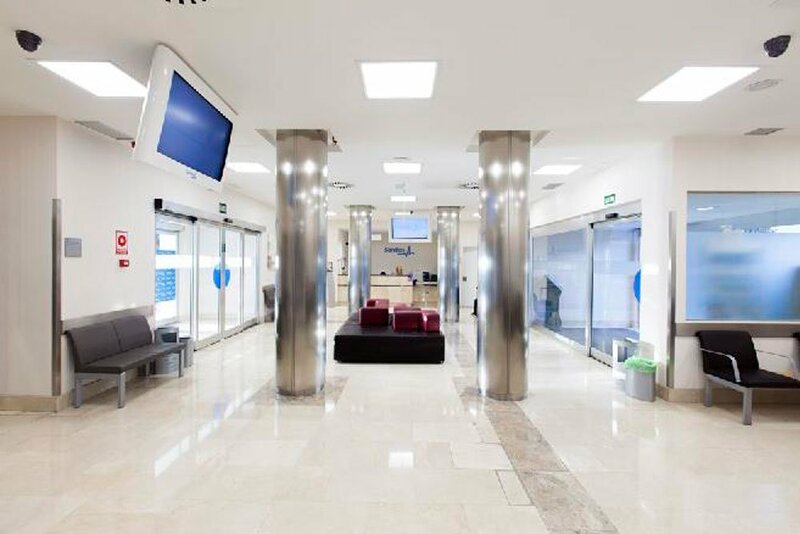 and in many cases they have been agreed with other departments at the hospital, such as the ICTUS code (with Neurology and Intensive Care) and the HEART ATTACK code (with Cardiology and Intensive Care). Taking and monitoring of vital signs (temperature, blood pressure, heart rate, oxygen saturation, respiratory rate). 12-lead or continuous electrocardiographic monitoring. 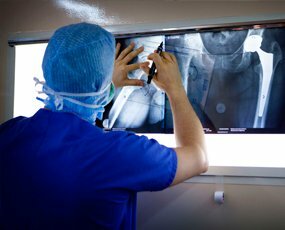 Peripheral and central venous catheterisation for ion of blood samples or administration of medication. Arterial puncture for ing blood samples. Urinary catheterization for monitoring diuresis. Emergency ultrasound assessment according to different protocols. Sutures of wounds of the skin and subcutaneous tissue, which are not complicated, without al or cosmetic repercussions. Treatment, stopping bleeding and monitoring healing wounds. Extraction of foreign bodies in skin. Simple ion and curing of corneal foreign bodies. Simple ion of foreign bodies in the oropharyngeal cavity, nasal cavity and ear canal. Dressings, immobilisation of limbs and splints. Administration of aerosols with air and oxygen. Administration and handling of emergency medication. Care for patients with life-threatening emergencies. Cleaning, hygiene and care procedures and protocols.